Marshall Govindan (or Yogacharya M. Govindan Satchidananda) is a Kriya Yogi, author, scholar and publisher of literary works related to classical Yoga and Tantra and teacher of Kriya Yoga. He is the President of Babaji's Kriya Yoga and Publications, Inc., and the President of Babaji's Kriya Yoga Order of Archaryas, a lay order of more than 25 Kriya Yoga teachers operating in more than 20 countries, and ashrams in St.Etienne de Bolton, Quebec, Bangalore, India, Colombo, and Sri Lanka. Recent advances in neuroscience provide practical lessons for students of Yoga. Thanks to functional magnetic resonance imaging (MRI) scientists have learned more about the brain in the past twenty years than in all of recorded history. They have been able to map the activities of the brain and the complex interactions of its physiology and neurological functions that shape our experience of the world. Informed by them, we can better understand the how's and whys of our human operating system, the root causes of suffering, and how we can change these causes to improve ourselves on all levels of body, mind, and interpersonal relationships. The brain has evolved during the past three million years, tripling in size. Its more primitive parts dominate the brain’s activities when danger threatens our survival. Those parts of the brain which have evolved relatively recently govern rational thinking, interpersonal capabilities, such as empathy, cooperative planning, which have helped our ancestors to survive. Factors that promote cooperation have been woven into our brains gradually. These include altruism, generosity, concern about reputation, fairness, forgiveness, language, morality and religion. These inhibit those more primitive parts of our which govern emotional reactions. But as our ability to cooperate has increased our capacity for aggression has also evolved. As our brains grew in size, early humans needed a longer childhood to develop and train the brain; and as childhood grew longer, our ancestors needed to find new ways to bond parents and children and other members of their bands to support everyone. Multiple neural networks evolved to accomplish this, stimulating reward type hormones as well as the activation of other punishment systems (stressors) due to social rejection. If we consider that the mind is an embodied and relational process that regulates the flow of energy and information, we can use the mind to change the brain. By focusing our attention, intentionally directing the flow of energy and information through our neural circuits, we can directly alter the brain’s activity and its structure. To do so, we must know how to promote well-being through awareness. Mental activity actually creates new neural structures. Hence, even fleeting thoughts and emotions can leave lasting marks on your brain, like water on bare earth. In order to develop a strong nervous system, one that can keep our endocrine, cardiovascular and digestive systems in balance, neuroscience informs us how the practice of Yoga can create the necessary new nerve structures for our modern, stress-filled lifestyles. According to neuroscience, a part of the neural emotional circuit includes the lateral prefrontal cortex that lies in both the left and right hemispheres of the brain. The one on the left side is connected with positive feelings such as compassion, goodness, acceptance and joy; the one on the right side is associated with negative ones, such as fear, sadness, depression and aversion. It appears that when we begin life, the two sides are balanced, and when one feels negative, the other side balances it, and vice à versa. But as the years go by, the right side becomes bigger than the left side. 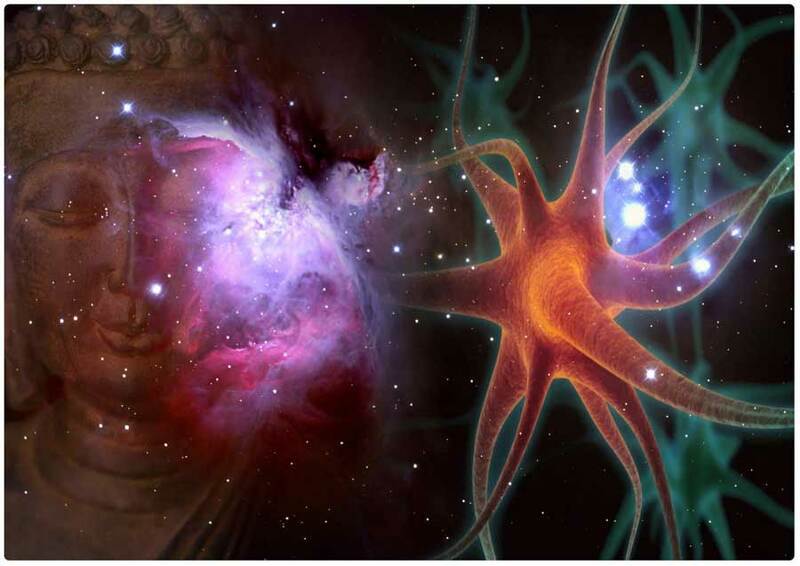 However, the left hemisphere, which controls positive emotions, grows quickly among meditators. Researchers have noted that if one practices meditation daily even for one week, the effects are visible on the electro-encephalogram machine. If one practices for eight weeks, not only are the results more visible, but the practitioners feel many positive changes. This buries the long held belief that our brain’s cellular structure is unchangeable, and that if one was born with a pessimistic outlook on life, one would die as a pessimist. Quite the contrary, we can all change the structure of our brains. Your brain is three pounds of tofu-like tissue, containing 1.1 trillion cells, including 100 billion neurons. A neuron or nerve cell is an electrically excitable cell that processes and transmits information through electrical and chemical signals. A chemical signal occurs via a synapse, a specialized connection with other cells. Neurons connect to each other to form neural networks. Neurons are the core components of the nervous system, which includes the brain, spinal cord, and, and peripheral ganglia. All neurons are electrically excitable, maintaining voltage gradients across their membranes. At its receiving synapses a neuron gets signals – usually a burst of chemical called neurotransmitters – from other neurons. These signals tell a neuron either to fire or not; when it fires, it sends signals to other neurons through its transmitting synapses, telling them to fire or not. Each neuron signal is a bit of information; a typical neuron fires 5-50 times a second. All of that information is what science broadly defines a mind, most of which is outside of our awareness. Conscious mental events are based on temporary coalitions of synapses that form and disperse –usually within seconds. 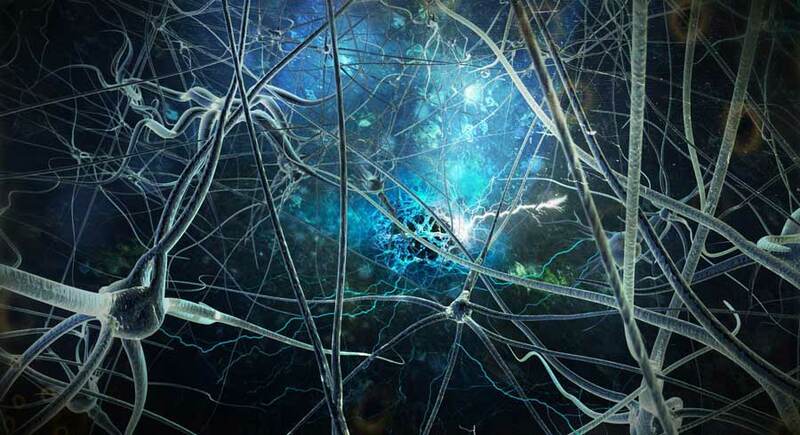 Neurons can also make lasting circuits, strengthening their connections to each other as a result of mental activity. The mind and the brain interact with each other to such a degree that they are best understood as a single, co-dependent, mind/brain system. The brain is the primary shaper of the mind. Even though it is only 2 percent of our body weight, it uses 20-25% of its oxygen and glucose. Neurons do not undergo cell division. In humans, neurogenesis largely ceases during adulthood, but in two brain areas, the hippocampus and olfactory bulb, there is strong evidence for generation of substantial numbers of new neurons. Our brains have evolved from neural tissues as sensory and motor systems needed to communicate with one another in more complex ways, finally centralizing in the form of a brain. The brain itself has evolved. Its oldest most primitive part, referred to as the reptilian brain, or brain stem, lies in the center, beneath the cortex and sub-cortex, and governs the most concrete functions, and has the most simplistic structures, with the fastest, most motivationally intense activities. The limbic system (or paleomammalian brain) is a complex set of brain structures that lies below the cortex, and right under the cerebrum. It is not a separate system, but a collection of structures. The limbic system includes the olfactory bulbs, hippocampus, and amygdala. It supports a variety of functions, including emotion, behavior, motivation, long term memory and smell. It appears to be primarily responsible for our emotional life, and has a great deal to do with the formation of memories. In Alzheimer’s disease, the hippocampus is one of the first regions of the brain to suffer damage; memory loss and disorientation are included among the early symptoms. Damage to the hippocampus can also result from oxygen starvation, which in turn is caused by poor circulation. Hold onto fleeting pleasures and escape inevitable pains, in order to approach opportunities and avoid threats. As everything is changing, the brain produces uncomfortable signals of threat to its stability, and these signals keep coming, coloring them with feelings: pleasant, unpleasant or neutral. We approach what is pleasant, avoid what’s unpleasant, and move on from what is neutral. Due to our evolution, we give much more attention to unpleasant experiences. Because of this bias towards negativity, we don’t notice good news, and suffer from anxiety and pessimism. Humans imagine, or simulate experiences with desire and fears. Once satisfied, desires prove to have been exaggerations. So too, do our fears turn out to be exaggerated or unreal. These keep from enjoying the present moment. But if the brain is the cause of our suffering, it can also be its cure. So the above consequences of our brain’s evolution can be remedied. Self-awareness and compassion for ourselves are the keys to doing so. We can choose to become aware of the causes of our suffering, or allow ourselves to be ruled by them. There are some causes of suffering that are inescapable, as they come from external sources: physical discomfort due to a change in our environment or an accident, scorn or rejection from others, distress when loved ones are harmed or die. But most of our suffering comes either from our reactions to these external causes or from what we create in our mind. Yet whatever its source or cause, suffering courses through the body via the sympathetic nervous system (SNS) and the hypothalamic-pituitary-adrenal axis (HPAA) of the endocrine system. When there is a negative reaction such as anger or fear, this results in the adrenal glands releasing stress hormones, epinephrine (adrenaline) and cortisol. Adrenaline increases the heart rate, dilates your pupils, so you can receive more light, moves more blood to large muscle groups, and dilates your lungs so you can run faster. Cortisol suppresses the immune system to reduce inflammation from wounds. Reproduction and digestion are slowed to compensate. Emotions are intensified, and the brain mobilizes and organizes itself for action, focusing on negative information, emphasizing fear and anger. In the harsh physical and social environments in which we evolved, this activation of multiple systems helped our ancestors to survive. Today, because of the above causes, combined with all of the stress that modern life imposes upon us, most people experience chronic activation of the SNS/HPAA systems, with numerous negative consequences for their physical and mental health. These include gastrointestinal conditions, weakening of the immune system, hardening of the arteries, diabetes, pre-menstrual syndrome, erectile dysfunction, lowered libido, anxiety and depression. Aside from the sympathetic nervous system, the other two wings of the autonomic nervous system (ANS), which operate mostly below the level of consciousness to regulate many bodily systems and their responses to changing conditions are the parasympathetic nervous system (PNS) and the enteric nervous systems (which regulates the gastrointestinal systems). The PNS conserves energy in your body and is responsible for ongoing, steady-state activity. It produces the feeling of relaxation, of contentment, and is referred to as the ‘rest and digest’ system, in contrast to the SNS (referred to as the ‘fight or flight’ system). These two are connected like a seesaw: when one goes up, the other goes down. Activation of the PNS is the normal resting state of your body, brain and mind. Activation of the SNS is a change to the baseline PNS equilibrium, in order to respond to a threat or an opportunity. The PNS quiets the mind and fosters tranquility, which support contemplative insight. They evolved together to keep animals and humans alive in hostile environments. Occasional SNS spikes to deal with demanding situations. (d) activation of the parasympathetic to dampen the limbic/SNS/HPAA feedback loops that would otherwise make the stress-response system react to its own reactions in vicious circles. Initially, you may often forget to be aware; you become absorbed in the pain, or the self-created reactions. Later you begin to notice that your mind has taken you for a ride; but you are unable to stop it. As awareness, and aspiration to master the reactions grows, you may still feel the reaction, but you do not manifest it, choosing to remember what you will lose if you do. Finally, self-created reactions to external sources of suffering do not arise at all, and you calmly figure out how to manage them. It takes time and some effort, with lots of little moments of practice to replace reactions of greed, impatience, desire, fear and hatred, which have left negative structures in the brain and mind, and to replace them with new ones, which involve generosity, kindness and wisdom. The single most powerful way to reshape your brain and thus your mind is by developing greater control over your attention. Attention is like a spotlight, that which illumines streams into your mind and shapes your brain. When attention is steady, so is your mind: you can place it wherever you want and it stays there; when you want to shift it somewhere else, you can. Attention involves three competing aspects: holding onto information, updating awareness, and seeking stimulation. People vary a lot with regards to their tendencies towards each of these. For example, some persons like a lot of novelty and excitement, while others prefer predictability and quiet. Therefore, one should adapt ones meditation practices according to one’s tendencies and challenges. For example, do you get tired easily when you try to concentrate? Or do you get easily distracted by sounds around you? Or do you need a rich diet of stimulation? Or a combination of these. Appreciate the fact that the various Dhyana kriyas in Babaji’s Kriya Yoga will serve one in managing each of these tendencies. The following practices in Kriya Yoga will, when done regularly, enable you to build new positive neural structures and to maintain an optimal state of balance between the PNS and the SNS. ‘Let go’ of painful memories, and negative habitual thinking though the practice of the first Dhyana Kriya. Develop positive visual images and emotions such as love, courage, and peace, during the practice of Kriya Dhyana Yoga, to balances the tendency of the mind’s bias toward negative memories and worries; to build new positive neural structures. Practicing the 18 asanas of Babaji's Kriya Hatha Yoga in pairs, activating the entire central nervous systems, and all members of the endocrine system, promoting optimal hormonal secretions, and assimilation with relaxation after each posture, and deep relaxation using the 18th posture. Direct the flow of prana towards the upper chakras with visualization and the breath during any of the 18 asanas of Babaji’s Kriya Yoga. Using Arupa Dhyana Kriya to resolve problems, and to overcome emotion driven suffering, using the intellect, and intuitive wisdom. Cultivate love and compassion through the practice of Kriya bhakti yoga, with devotional practices. Practice Yoga Nidra, as taught during the second initiation, to deeply relax and heal the body, the entire central nervous system and the brain. Practicing concentration exercises such as Eka Rupa Dhyana Kriya, and mantra repetition, one avoids mental dispersion, and replaces it with inner joy. Cultivate continuous awareness in daily life, with presence, equanimity and joy, as taught during the second initiation, and Nityananda Kriya. See the Divine in others, being empathetic and compassionate for their suffering. Practice those kriyas taught in the third initiation, to enter into Samadhi, at will, slowing metabolic processes, and rejuvenating all systems, to induce theta and delta waves in large areas of the brain; inducing identification with boundless awareness, replacing identification with the physical body and the movements of the mental and vital bodies. Adhere to a vegetarian diet, with protein at every meal, and lots of different vegetables, and anti-oxidant berries for your brain; avoid refined sugar and foods made from refined flour, animal products and processed foods. High blood sugar wears down the hippocampus, leading to memory loss. Avoid allergen foods to which you are sensitive, which cause an inflammatory reaction. The most common allergen type foods are milk and gluten grains and soy. To determine them, use blood tests, or try eliminating suspected ones from your diet for a week, and then notice if you feel better, think more clearly, digest more easily, and have more energy. Avoiding other sources of inflammation: drugs, alcohol, tobacco. Science has determined that some supplements promote the health of your brain: a good high potency multivitamin is recommended. So are Omega-3 fatty acids, which promote neuronal growth, mood elevation, and slowing of dementia. As a vegetarian get your Omegas from flax seed oil or even better Udo oil (1 tbs. per day) with at least 500 mg of DHA (docosahexaeonic acid). Vitamin E is the main anti-oxidant in the cellular membranes with your brain. One should take 400 IU of vitamin E daily, at least half of which contains the gamma-tocopherol form of Vitamin E, whose regular consumption has been shown to reduce the risk of developing Alzheimer’s disease. One can facilitate the transformation of one’s brain and mind by forming clear intentions to be equal-minded in the face of life’s ups and downs, to replace negative emotions with their opposite, to apply the above practices, with auto-suggestions or affirmations. Compose them in short statements for a positive changes in your life, and repeat them daily when you are in a relaxed state, to replace the old negative programming in your subconscious mind. Exercise your willpower when you feel resistance to your intention; do not manifest negative emotions; observe them rising and passing away. Be patient with yourself when you slip up. If you do not give up, you are bound to succeed, and your failures become stepping-stones to success. 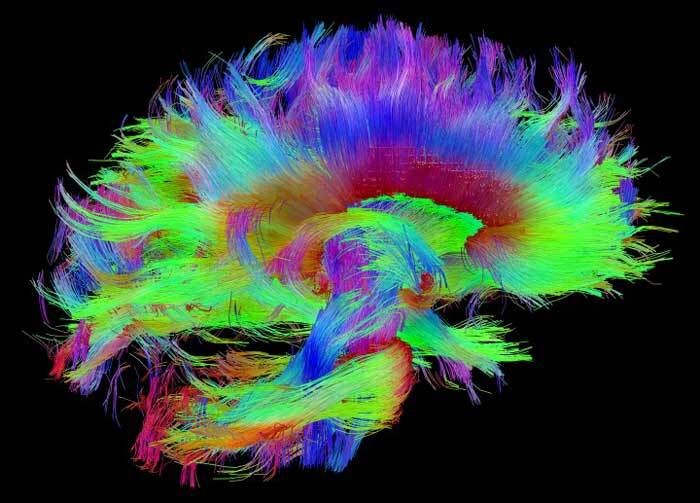 Our brains, as with everything in Nature, is evolving. We can be conscious agents for positive changes in this evolution, bringing joy, love and wisdom into the world. Marshall Govindan is the author of Babaji and the 18 Siddha Kriya Yoga Tradition, now published in 17 languages, the first international English translation of Thirumandiram: a Classic of Yoga and Tantra, Kriya Yoga Sutras of Patanjali and the Siddhas, The Wisdom of Jesus and the Yoga Siddhas, and Kriya Yoga Insights Along the Path. Since the year 2000, he has sponsored and directed a team of six scholars in India in a large scale research project which has preserved, transcribed, translated and published of the writing of the Tamil Yoga Siddhas of south India in eleven volumes. He is also the founder of a lay order of Kriya Yoga teachers, with 28 members in a dozen countries, He directs the activities of yoga ashram retreat centers in Quebec, Bangalore and Badrinath, India and Sri Lanka, and those of registered charities in these countries which are dedicated to Yoga research and education. 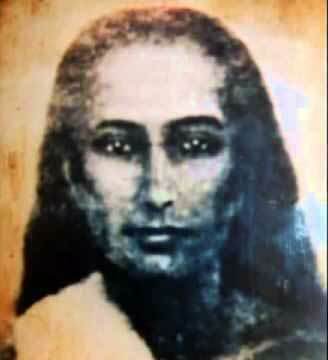 He has practiced Babaji's Kriya Yoga intensively since 1969, including five years in India.